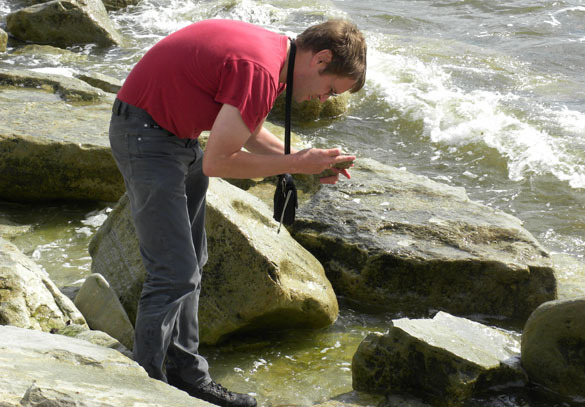 KURESSAARE, ESTONIA–Yesterday afternoon three Wooster geologists met in the Tallinn, Estonia, airport within an hour after flying from three different countries. (Thank you, travel agent Suzanne Easterling!) We rented a car and then drove through impressive rainstorms westwards to the coast where we boarded a ferry for the island of Saaremaa. By dinner time we had checked into a little hotel in the small city of Kuressaare. We are the third team of Wooster geologists to work in Estonia. The last one was two years ago — one of the first expeditions covered by this blog. This morning we began our field reconnaissance with our friend and colleague Olev Vinn (shown below) of the University of Tartu. 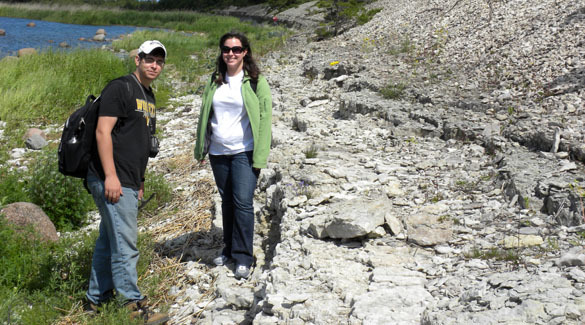 Olev is generously working with us for a week as we explore the Silurian and sort out Independent Study projects for senior geology students Nick Fedorchuk and Rachel Matt (pictured above). They are already prepared for work at particular sections, but we first want an overview of the Silurian on the island (and to be ready for surprises). The Silurian of Saaremaa and its sister island Hiiumaa is very well exposed along the coastline in a series of cliffs (some of which, admittedly, are less than two meters high!). They encode information about the environments and communities on the ancient continent of Baltica about 430 million years ago. Saaremaa is particularly interesting to us because it was essentially off-limits to visitors between 1940 and 1991 because it was a military zone occupied by Soviets, and then Germans, and then Soviets again until Estonia regained its independence upon the collapse of the Soviet Union. 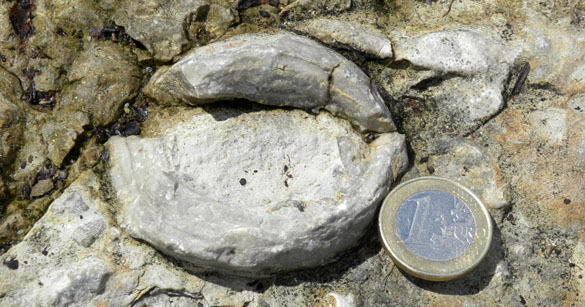 The rocks and fossils here have not been studied as intensively as their equivalents elsewhere in Europe, so there are many opportunities for new discoveries and interpretations. Today we visited Abula Cliff, Jaagarahu Quarry, and Elda Cliff on the western extension of the island looking at limestones and dolomites of the Wenlock Stage. Spherical stromatoporoids (see above) caught our fancy because they were particularly well exposed at Abula Cliff. As you can see from the photos it was a gorgeous day. More geology tomorrow! 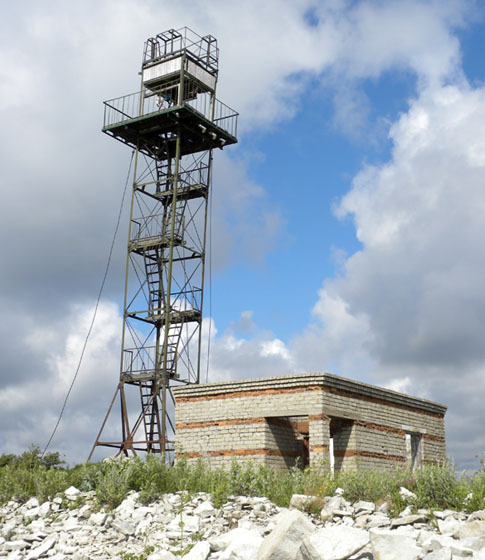 An old Soviet searchlight station at Elda Cliff (N58.30450°, E21.82935°). For twenty years now this coastline is free!